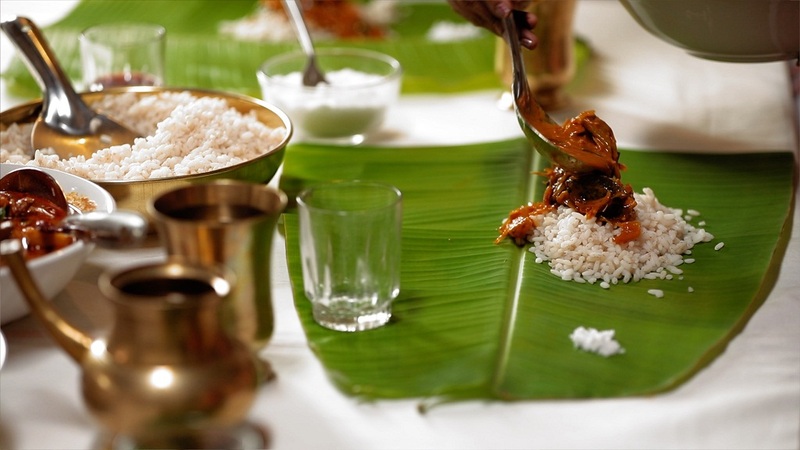 The delicacies of Kerala could be classified on the basis of the castes in the State. Cooking could be classified as Hindu cooking, Mappilah cooking, and Christian cooking. This applies to feasts, as well as day to day cooking. All the three communities have different styles and traditions. In Christian cooking, there is no differentiation as fish, meat, and vegetables. Fish dishes have an overdose of spices. This would be evident in the food cooked for rituals related to death. Vegetarian food alone would be served at any function held in connection with the death of a person till the fortieth day. Fish and meat would be served at the feast on the 41st day of mourning. This is applicable for death anniversaries too. Fish and meat are served at the feasts in churches. Spices and vinegar are the main components of non-vegetarian dishes. 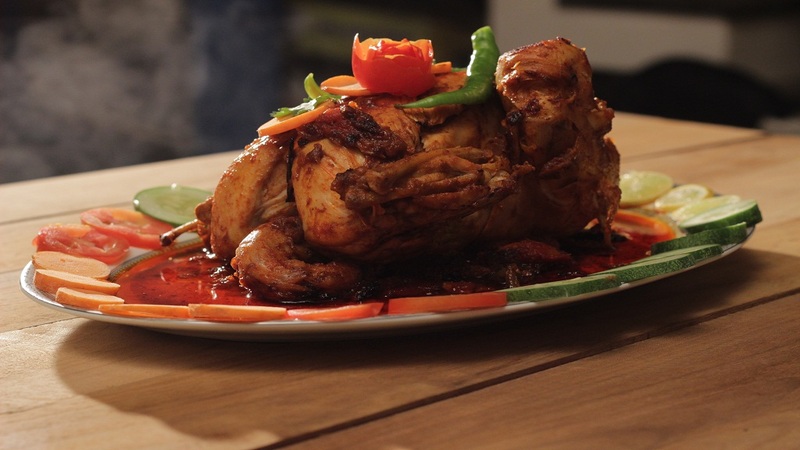 Chicken roast, pork piralan, and liver roast are a few of the popular dishes in Kottayam. Coconut milk is an important ingredient in Central Kerala. Duck roast, duck piralan, duck cooked in coconut milk, and such others have an extra dose of spices. Different delicacies of duck and mutton are also popular among them. Pork and beef cooked with vinegar are popular in Goa. Cutlets came from the British. Soup is a Portuguese dish, but soup made of goat head is an Anglo Indian dish. The book, by Rev. Samuel Matteer, published in 1883, dwells on the food habits in Southern Travancore. It says that no particular food is taboo to the Christians. Since beef is not available in plenty, they do not consume it. They prefer rice and curries. Syrians have food, sitting on a mat spread on the floor. They use brass plates and on special occasions, a plantain leaf. Special meals were initially served on a plantain leaf. Folding an edge of the leaf was a custom that prevailed among the Syrian Christians alone. Salt is served on the right end of the leaf, rice in the middle and other curries along the side on top. Guests mix sugar, plantain, curd, and rice and eat it. There was a custom called Pani Vilambal or serving pani which is a sweet syrup made from a kind of palm, with a plantain, in Northern Travancore. 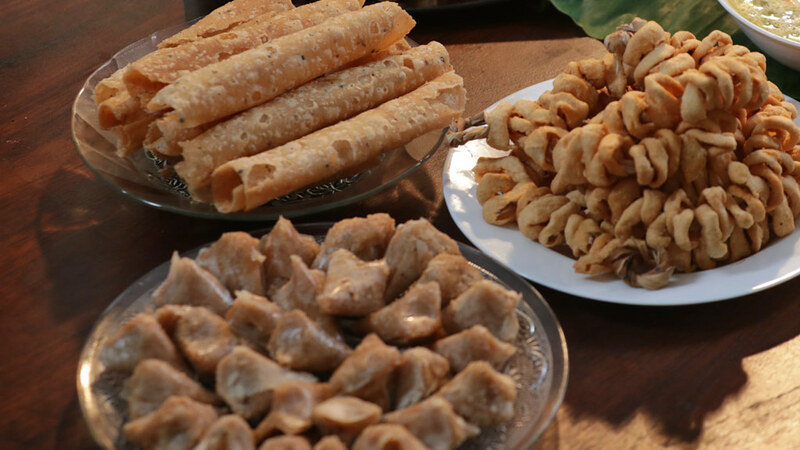 Churuttu, a sweet, is a delicacy of Syrian Christians. There is a system of cooking fish covered in a leaf and without oil. They have the tapioca and fish combination too. Colonial influence is evident in the food habits of the coastal areas in Kochi. The fish delicacies of Varapuzha, Mulavukad, Thevara, Kumbalangi, and Panangad are much different from that of the recipes in the north and south Kerala. The Christmas preparations of Kochi are a blend of the tastes of different countries. Beef Vindaloo, which is of a Portuguese origin, seer fish Kothapichathu, prawn with coconut bits, tapioca and crab, fish moliee and palak curry are some among them. Beef Vindaloo would remain without any taste difference for four days. Masala powders are mixed in vinegar. Caldeggada is also known as beef pidi. This is something similar to chicken pidi of the Knanaya community in Kottayam. Natives of Varapuzha have a dish made of sliced beef called Mustard. 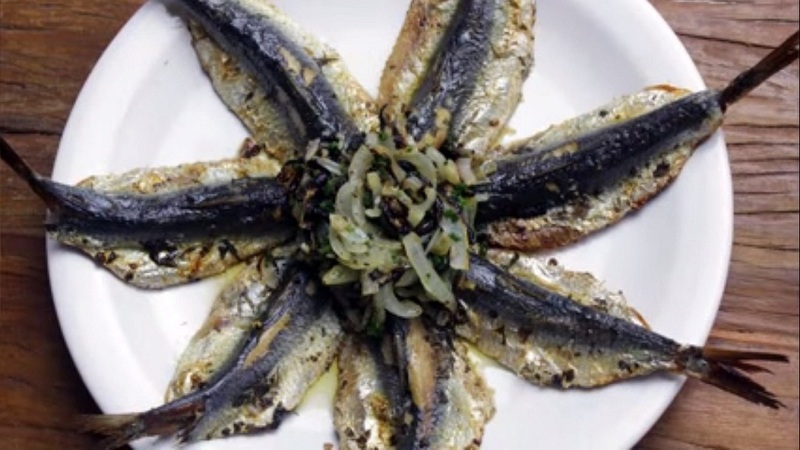 Another popular dish is Sardinha Assado made of sardines, which is a Latin dish. It was the Portuguese who brought sardine fishlings to Kochi. Since it was brought from Sardinian Seas, it was known as sardine. Coccum was also brought by the Portuguese. In ashrams where people live together, there are a lot of restrictions and limitations in food habits. Gruel and a curry in the morning, rice and two curries in the afternoon, gruel in the evening and rice with two curries for supper, was the norm. More importance was given to vegetables. This was the menu that was in vogue in Christian Ashrams of the early days. 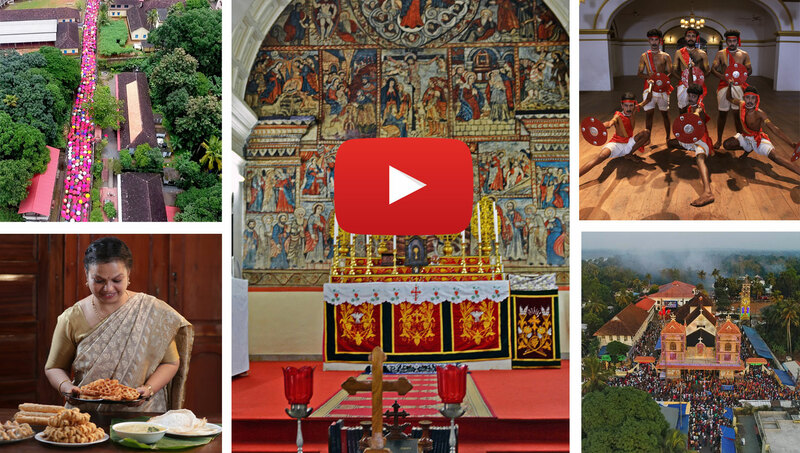 Once the foreign missionaries set up seminaries, they introduced the European menu. Kitchens were set up in seminaries and churches. The English and Portuguese influence on the menu came through the cooks who manned such kitchens. The European friars with an inclination for milk diet promoted dairy farming too. They also had poultry farms, and reared goat, duck, turkey, and pig for meat in seminaries. Fruit trees were grown in the courtyards of the seminaries. The recipes that were kept as a guarded secret by the foreign cooks became popular through the community feastings in seminaries. Pork Vinthalu, Chicken Mappas, Fish Moliee, and stew, thus became popular. Cooks doubled up as chefs of Christians. 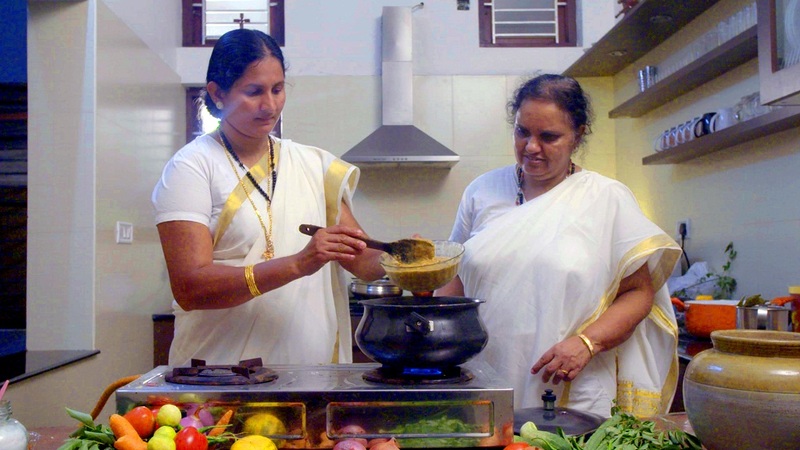 Most of their recipes have become part of the Christian kitchen of Kerala too. This is a mix of local and English delicacies. 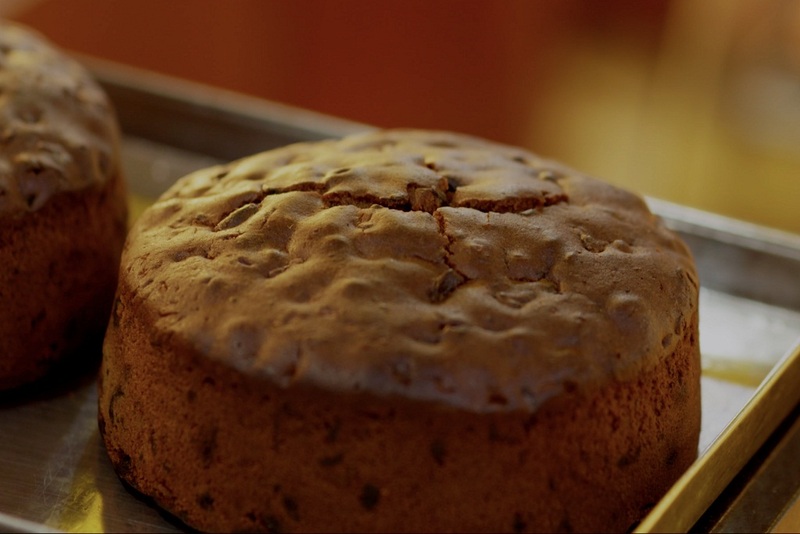 Kerala specialties like Achappam, Kuzhalappam, Cheeda, Vattayappam, Kinnathappam and Vellayappam and English eatables such as cake, biscuit, rusk, and bread are together known as Kochi delicacies. The chicken, pork and fish dishes, as well as salads, are served for wedding feasts and are something unique to the Christian community. Now parotta is served with duck or fish curries.The menu of the feasts too has changed. The dishes for sadya are arranged to be served in courses. The nadan chicken of Irinjalakuda and Varal (fish curry) is not to be seen elsewhere. The toddy appam or kallappam is served on various occasions, including weddings. 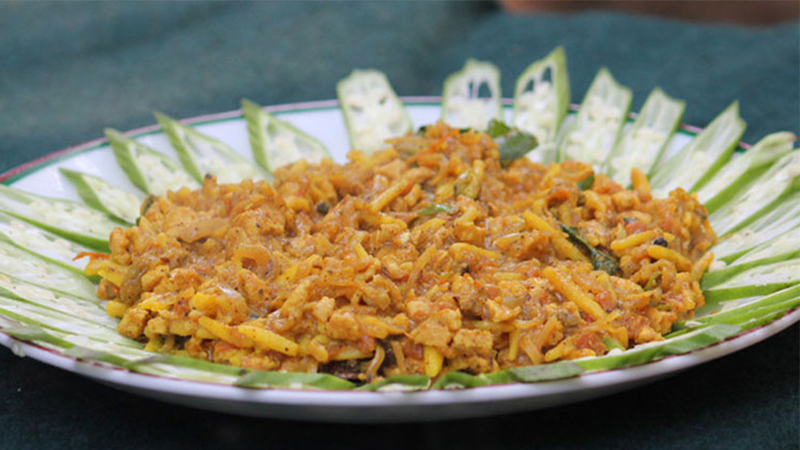 Kozhukatta is one dish that Christians used to serve for Hosanna. This is a combination of rice powder, molasses and shredded coconut. 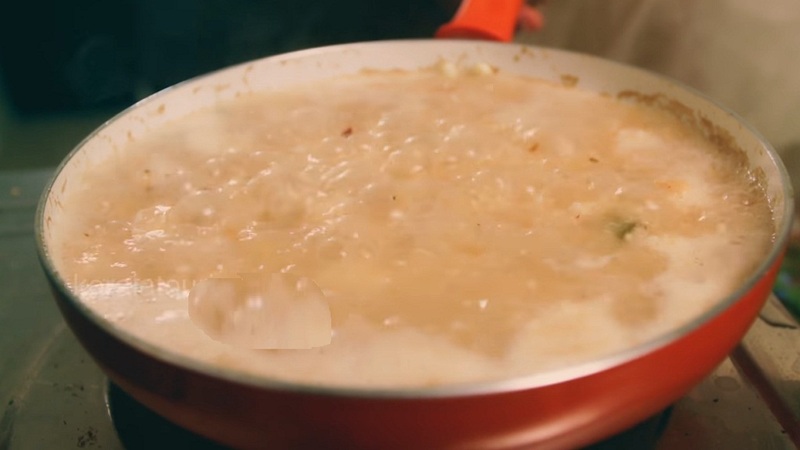 This dish would be cooked without molasses to be served for diabetic patients. Many tubers consumed by the community are also not in vogue now. Jackfruit and tapioca are gradually gaining currency among the Christian community. Ayaniyappam and Eenthappam were very popular among Knanaya Christians. Pesha appam is in southern style. There was the ritual of drinking milk on Holy Thursdays in which friends and relatives used to participate. This is still being observed in certain parts of the State. The palm leaf that the faithful get from the church on Palm Sunday would be kept above the appam and then the unfermented Pesaha Appam is made. 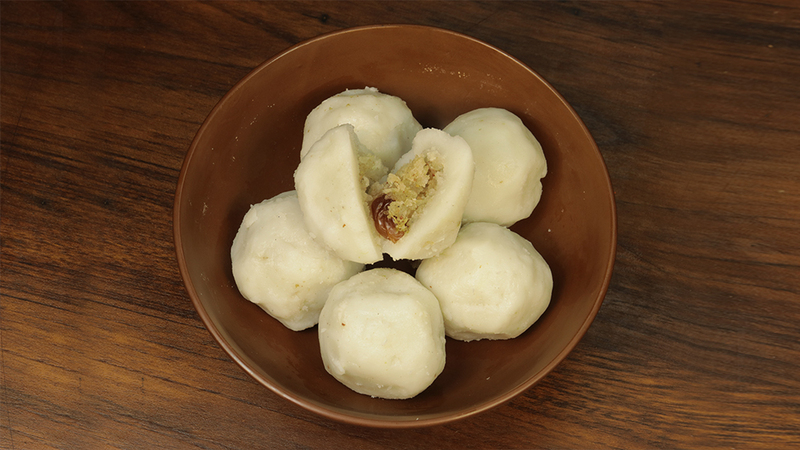 The Pidi, or rice dumplings popular in southern Kerala, is served with chicken curry. Balls made of avalose powder, onion, curry leaf, coconut, and jeera are baked in steam. Matta rice is used for making the balls. This dish served for Christmas and Easter is not familiar to Northern Keralites. Eenth, Puliyada, Ayaniyada, Mango seed halwa, Idi Irachi (meat) etc. have been handed down as part of the tradition. This is taken mostly during the monsoon months. There was a system of consuming fenugreek kanji to brave the cold during the monsoon months. This is still being practiced. Ayurveda physicians in the countrysides sell Kozhi Marunnu powder during the monsoon months. This is consumed in ghee. Leg of goat and the tail of ox are used to prepare soup with ghee and onions, which is consumed during the Malayalam month of Karkidakom. The Kozhi Marunnu was initially given to women after delivery. There was also a system of giving goat broth. Dried chilies or kondattom was also popular in Kerala. There was also a system of storing dried meat. 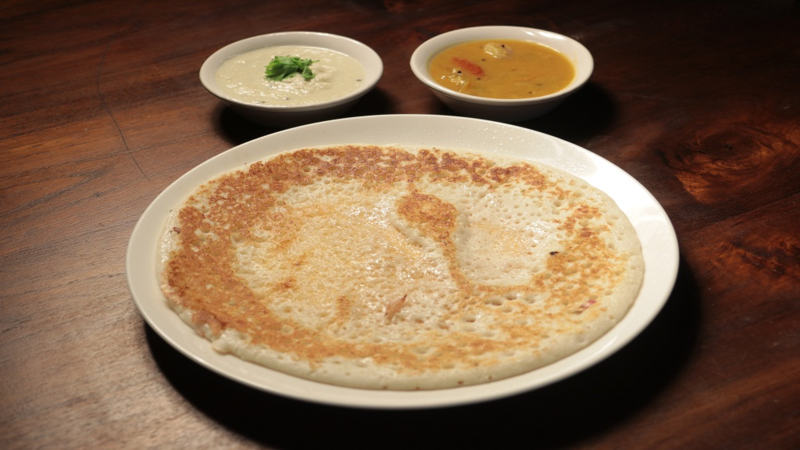 Pananjil dosa is prepared by mixing fish, egg, and coconut with the batter. Different modes of cooking seer fish, Pearlspot, and Kozhuva are also there. Puliyada is one such. Fish moliee came from the seminary kitchen. Dried fish and mango is a Christian delicacy. Fish Mappas and fish moliee are the same. Venpachor is served in May when St. Mary’s Vanakka masam begins. This is one of the main offerings in the church of Holy Mary. 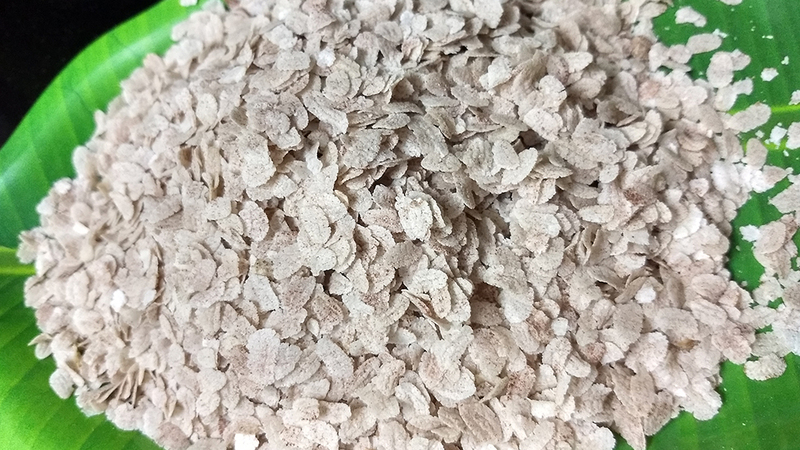 Neyyappam and rice flakes (Aval) are also served at certain places. 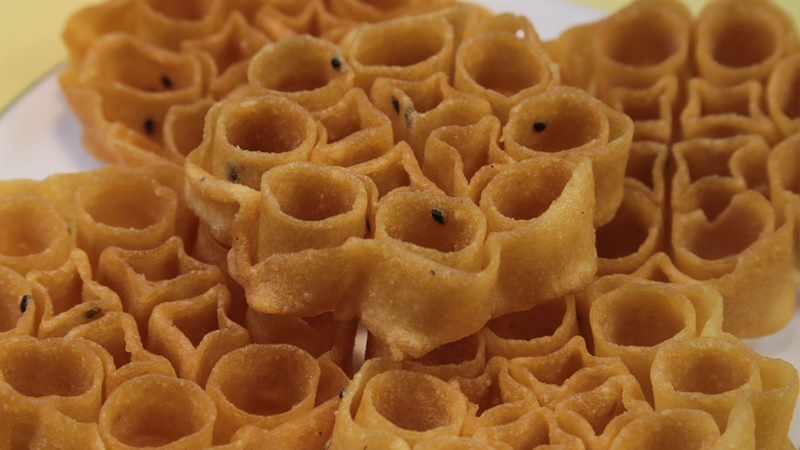 Thamukku is made in churches and homes.